I’m really excited to say that I’ve been chosen to work on a video game as a concept artist for a company called “Ironbelly Studios”. I’ve been working with the team for about 7 weeks so far and it has been an awesome experience. The game itself we are hoping to release on Steam in about 6 months, so as it progresses I’ll be posting some of the pieces I’ve been working on. 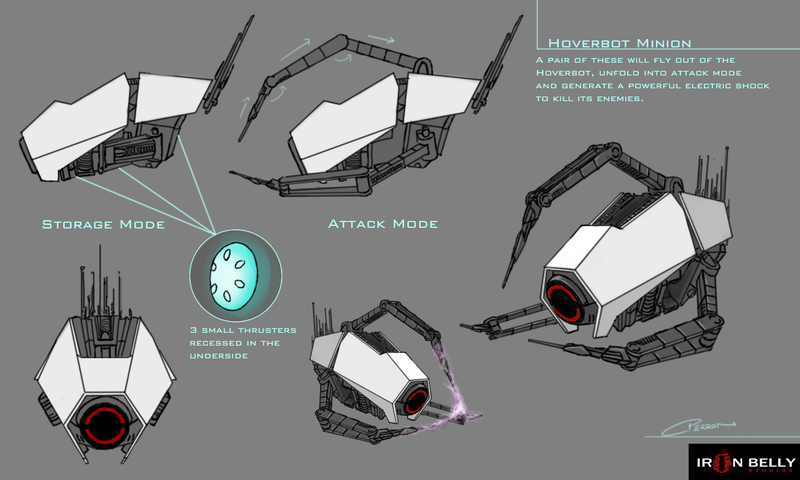 There are going to be some larger hoverbots in the game and these are the little guys that will fly out of it and will swarm and attack the player at close range.